But now that the Supreme Court has (1) clarified that state-action immunity doesn’t apply in many instances to state board conduct; and (2) brought important attention to the problem of state-board anticompetitive conduct, I anticipate many more lawsuits in this area. So this part of the antitrust doctrine should develop. That was a lot to say to introduce a district court decision on a preliminary injunction hearing, but the context for this case is important. Peter Geier of PaRR—Policy and Regulatory Report was kind enough to bring a recent Texas federal court decision to my attention. In Teladoc, Inc. v. Texas Medical Board, United States District Judge Robert L. Pitman issued a well-reasoned decision on the question of whether conduct by the Texas Medical Board violated the antitrust laws. You might be familiar with Teladoc. They will often contract with employers to offer physician consultations to employees over the phone after reviewing medical records. When appropriate, the Teladoc physician may prescribe certain medications. Sometimes, for example, they will refer the registrant to a physician’s office, a dentist, or the emergency room. The Texas Board of Medicine adopted certain regulations that, relevant here, made it clear that Teladoc and its physicians were engaging in a prohibited practice by issuing prescriptions following consultations over the phone (without an actual in-person examination). Teladoc sued in federal court, alleging that the Texas Medical Board is violating both the antitrust laws and the Commerce Clause of the Constitution. We will focus on the antitrust claims here. As part of the lawsuit, Teladoc sought a preliminary injunction, which the Court described as “an extraordinary remedy” that is “the exception rather than the rule.” To obtain a preliminary injunction, the moving party must show (1) a substantial likelihood of success on the merits; (2) a substantial threat that failure to grant the injunction will result in irreparable injury; (3) that the threatened injury outweighs any damage that the injunction will cause to the opposing party; and (4) that the injunction will not disserve the public interest. Unlike most antitrust cases against state and local government entities, the exciting issue here was not whether there was state-action immunity from the antitrust laws—the Texas Medical Board did not make that argument. Instead, the issue was whether there was an antitrust violation. Or—in the context of a preliminary injunction hearing—whether there is a substantial likelihood that Teladoc could show that it would succeed on the merits in proving that the Texas Medical Board violated the antitrust laws. To determine whether the Board’s actions breached the antitrust laws, the Court had to analyze whether it was anticompetitive. This is important as there are many instances where a board or association will exclude a class of competitors. If the bar is set to high to show anticompetitive harm, it will be difficult for future plaintiffs to prevail in these antitrust lawsuits, regardless of whether there is state-action immunity. Here, the Court reviewed evidence of the cost of the respective services: “Plaintiffs’ evidence shows the average costs of visits to a physician or emergency room are $145 and $1957, respectively, and the cost for a Teladoc consultation is typically $40.” So the first question is whether the excluded competitor is offering a lower-cost service. In this case, the answer is yes. It is significant that the court analyzed the competition issue this way because many excluded competitors are targeted precisely because they offer better prices. 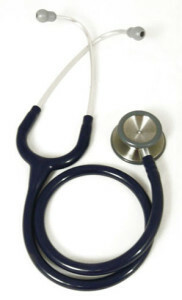 The Court then cited Plaintiff’s evidence that “patients choose telehealth for a number of reasons, including reduced travel and waiting time.” As a general matter, in addition to price, companies or individuals often compete on quality or by offering different features or different solutions to problems. In this case, Teladoc offered a solution with superior convenience (reduced travel and waiting time) to customers. These two pieces of evidence—lower costs and additional features for Teladoc services—show that excluding this class of competitor will likely harm competition. This simplifies the Court’s analysis slightly, but the Court is effectively allowing plaintiff to show harm to competition without a more detailed analysis of the actual effects on the market. This could be in part because of the truncated nature of evidence at a preliminary injunction hearing. But it could also reflect the type of anticompetitive harm: exclusion of a class of competitors. If a group of competitors excludes another class of competitors, the question of whether competition is harmed turns on whether the excluded class offers competitive benefits to the market. It is that simple. In this case, Teladoc (and companies like them) offer lower prices and greater convenience. That should be enough. This is important for future antitrust plaintiffs challenging board conduct. I am not going to spend a lot of time on whether the Court should have analyzed this case under the per se, quick look, or rule of reason approach, but if you are a more seasoned antitrust hobbyist or professional, you might recognize that this Court—like many courts in recent years—is spending less time worrying about the label of the analysis and is instead evaluating at the level that is appropriate to the alleged anticompetitive conduct. In this case, the Court held that regardless of whether it used quick look or rule or reason, it would grant the preliminary injunction. The Court went on to analyze other issues, like balancing the anticompetitive harm with pro-competitive benefits, etc., but except for one additional point, I will leave it to you to read the rest of the opinion. Remember, whenever a state board of professionals wants to exclude competition, it will always cite public health and safety, or consumer protection, in support of their anticompetitive actions. To its credit, the Court here didn’t fall for it. I expect that we will see more and more antitrust litigation against state boards that use their collective and government power to vanquish their competitors. What many people don’t realize is that at least one group, the Institute for Justice, has been battling these licensing boards for years, but on constitutional grounds. You should check them out. They are true defenders of competition.